It is a family affair on Thanksgiving night. The ladies of Kiss & Tell have invited some stellar DJs to play mostly house, disco, italo and other celebratory jams to kick off the holiday. We would also like to welcome our new resident Safety Scissors aka Matthew Patterson Curry. Thanksgiving has always be a favorite holiday of ours, a nice day to reflect and remember how blessed we all are. Come dance off your meal with our amazing community of talented friends. John Barera has been a firm disciple of the Techno and House world for the past 10 years, and after co-founding Supply Records in 2011 & Jack Dept in 2014 has brought an elegant, resoundingly universal mixture of underground club tracks to the fore. As a DJ John always puts in a little extra work to keep the dance floor engaged and the party special. Always collecting and listening to records of all kinds, his sets have been known to go over well. Groove Magazine, Resident Advisor, Fact Mag, XLR8R and Little White Earbuds have all spoken well of his work and he has been invited to play alongside artists such as Stacey Pullen, Optimo, Juan Atkins, Floating Points, Jimmy Edgar, Daniel Bell, Andrés, Martyn, Faltydl, and Bicep. 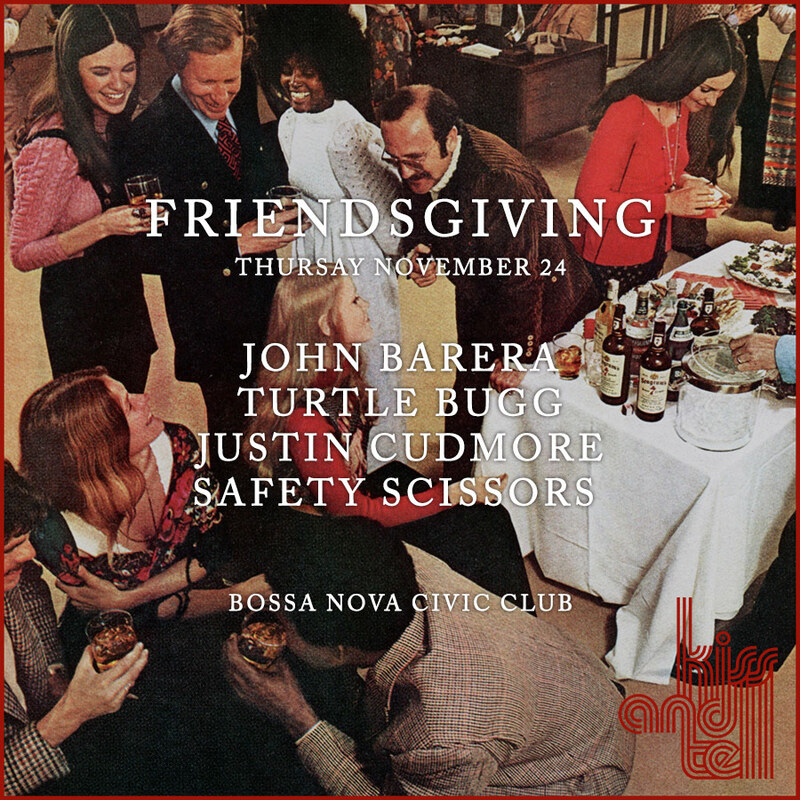 John is currently holding down a residency at Boston's long-running Make it New party and at Bossa Nova Civic Club in Brooklyn. When he's not DJing, John is hard at work in the studio. Outside of Supply Records, he has released music on labels like Dolly, Dirt Crew Recordings, Soul Clap, Ortloff, Jackoff and Ecstasy records. His project B-Tracks, alongside label partner Soren Jahan, has also released four EPs so far. Barera released an exclusive track on Steffi's Panorama Bar Mix CD on Ostgut Ton and loaned his remixing talents to labels like EDEC, Sincopat and End of Dayz. 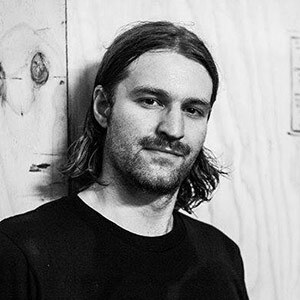 His productions have been supported by Doc Martin, Ben UFO, Jonas Kopp, Kai Alcé, Jacques Renault, Serge, nd_baumecker, Andrew Grant, Moomin, Clockwork, La Fleur, DJ Three, Detroit Swindle and many other respected artists. In October of 2014, John released his well-received debut album 'Graceless' alongside Will Martin on Dolly and they begun to play live sets together. Safety Scissors is Matthew Patterson Curry, an artist born in Minneapolis, Minnesota. He moved to the San Francisco Bay Area for a short while in order to attend San Francisco Art Institute. 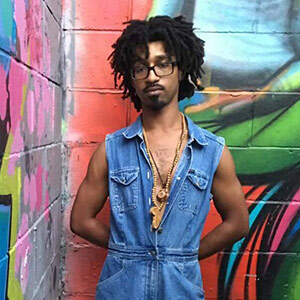 Curry then decided to focus more on music and eventually joined Belief Systems/Context Records where he began working with Kit Clayton, Sutekh, and Twerk. Curry also performs with Seth Horvitz (aka Sutekh) under the name Moron. Curry has released three full-length albums, Parts Water in 2001, Tainted Lunch (released on Stefan Behnke's ~scape label) in 2005, and Pigeon Funk Presents!!! with Sutekh and Kit Clayton. Parts Water was described by CMJ New Music Monthly as "a perfect headphone record", including what reviewer Tim Haslett called "possibly the first attempts by a techno artist to write pop tunes". He also collaborated with Kit Clayton on an EP entitled Ping Pong, which sped through three dozen tracks in less than twenty minutes. Ping Pong was part of Carpark Records' sports-FAN series, so named because each release was pressed on a Fan CD. From 2001 until 2006, Curry ran his own label Proptronix which was dedicated to fake electronics. Brooklyn DJ & producer. Tracks released on Honey Soundsystem Records. Ex-staff member of Little White Earbuds. Techno producer Justin Cudmore’s coming-of-age as a fan and creator of dance music happened amidst the wide expanses of central Illinois. As a kid growing up in the state’s tucked-away capital of Springfield, he played the drums at home and in school as a jazz percussionist. But where most of his peers were tuned into pop music, Justin was wearing out self-made mixes and classic disco compilations. 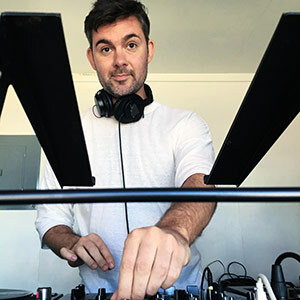 As a college student Justin dove further into electronic music, workshopping new-wave influenced beats in bands and DJing parties, primarily at the club night Physical Challenge, which he started in 2007. 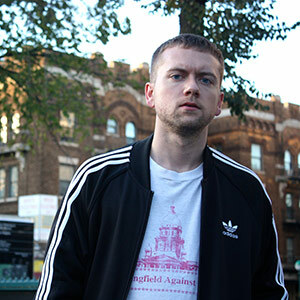 He moved to Chicago after college and began working for the influential dance music blog Little White Earbuds, which opened him up to the city’s thriving underground house and techno scene. Currently, Justin is a fixture across Brooklyn, popping up on dance floors and behind booths. 2016 saw his 12” debut on Honey Soundsystem Records (HNYTRX) featuring remixes by Mike Servito and Gunnar Haslam. The trio have taken their Hotmix party and sound across Brooklyn, most recently for all-night tag sets at The Bunker NY. Through it all, Justin has remained a student of history who recognizes that house and techno still drip with the sweat of its pioneers. Much like the teenager who burrowed deep into his own mind, Justin prefers old sounds over new. He has spent years digging into crates both digital and physical, gathering inspiration for his own productions, which marry snaking acid lines and bouncy grooves to samples that have remained close to his heart. 2017 will see Justin continue to push forward with new releases and remix collaborations.